Solway Mist is another fine example of the Oyster 655’s. This sleek yacht has a stylish deck with streamline profile allowing comfort under sail. Solway Mist has twin carbon helms that are separated from the main cockpit allowing guests to relax whilst underway without being disturbed offering a solid teak table with a refrigerated cooler in the cockpit which provides comfortable dining on deck. This beautifully crafted yacht is fitted out in Teak with a light and airy saloon offering a sumptuous saloon area furnished with luxury beige leather upholstery. Images by: Oyster Marine Ltd. Relax and enjoy music from the LINN surround sound or enjoy a movie on the plasma screen t.v. Music can also be enjoyed in the cockpit whilst on deck. iPod connections are also available throughout the yacht. Solway Mist offers a master cabin, aft, fitted out to the highest Oyster specification, offers a luxury double berth, a sea berth and vanity table and also has a flat screen t.v, with an en-suite shower and head. Each cabin is fitted out to the highest standard with ample stowage. The starboard forward cabin offers a drop drown plasma screen and comfortable double berth. With air conditioning throughout this stunning Oyster 655, your time onboard will be uncompromised - relax and let the crew take care of you. Simon and Laurie have worked together as a successful Captain and Chef/stewardess team for over four years onboard both charter and private yachts. Simon was brought up within a sailing family on the Norfolk Broads and started sailing at the young age of four, racing Optimists and progressing to racing within the dinghy fleets. At 18 he became a multi-discipline water-sports instructor, then became an RYA Yachtmaster Offshore Skipper by the age of 21. Simon has had over five years experience in both the charter and private yachting industry, as well as two years in yacht manufacture. Simon’s interests include wind-surfing, snow-boarding and diving. Laurie is an accomplished chef and is as comfortable at the helm as in the galley! She can also impress you with her languages, Laurie is fluent French and basic German. Laurie is passionate about sourcing the finest local ingredients and her cooking is inspired by her travels and training in England with Rick Stein at his seafood and cookery school in 2007. As a student of nutritional therapy she likes to take a healthy approach, producing delicious, fresh, meals – followed by dessert and fine cheese for holiday indulgence Simon and Laurie have sailed extensively both in the Mediterranean and Adriatic and having explored the Dalmatian Coast and islands, they will be able to guide you and show you interesting highlights during your charter onboard Solway Mist 2. As a team, they combine the highest professional standards with a friendly approachable manner. Whether you are a keen yachtsperson or new to sailing, Simon and Laurie have the experience and skills to ensure you have an unforgettable time on board Solway Mist 2. 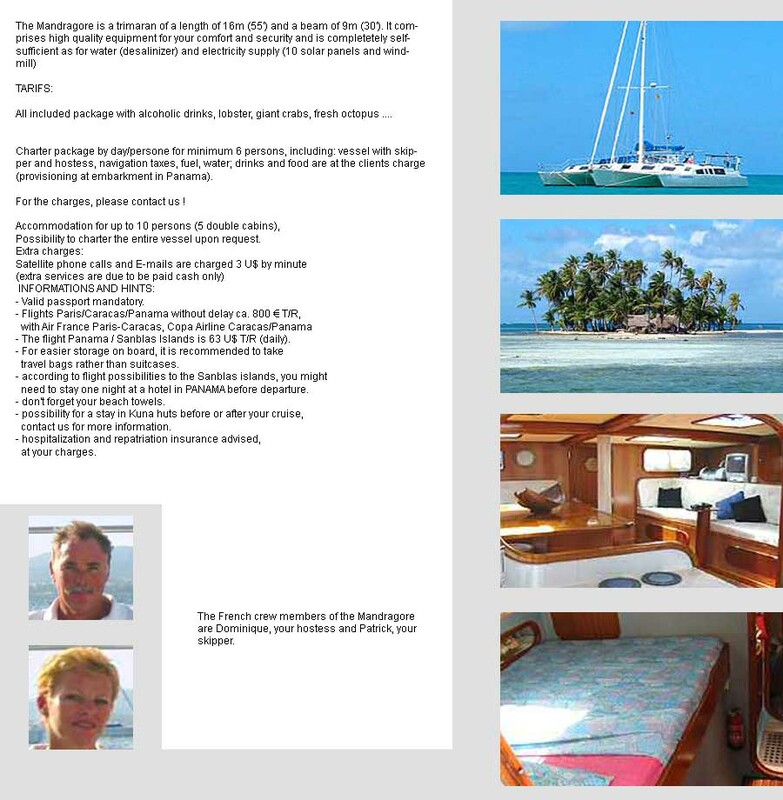 Sistership Oyster 655 Roulette: crew profiles. Stuart from Broadstairs in Kent, has been sailing for about 16 years, he left school and joined the Royal Fleet Auxiliary where he trained as a mechanic onboard Tankers. Stuart has also raced extensively onboard dinghy’s and yachts as well as being a National Champion in one class of yacht. He has also raced Dragons competing in many races throughout Europe. Stuart has an extensive knowledge of Oyster yachts having previously skippered the Oyster 56 Roulette, and crewed onboard the flagship Oyster 82. Stuart was involved in the build of the new 655 Roulette V2 He has sailed over 30,000 Nautical miles he is a Commercially endorsed YachtMaster and will be able to ensure that your charter onboard Roulette is safe and enjoyable. Hazel has sailed over 10,000 Nautical Miles, having crewed onboard various race boats and her parents yacht. Hazel has an extensive knowledge of the Caribbean, Seychelles and the Mediterranean. She recently entered into the yachting profession to pursue her love of sailing, having previously worked at an investment bank in London. Hazel will ensure that you are offered the most enjoyable menu whilst onboard Roulette, having trained at the Grange Cookery School. 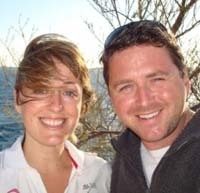 Hazel and Stuart will endeavour to make your charter onboard Roulette enjoyable and comfortable.